We are local company to the Charlotte area. We have recently relocated to a more convenient location that should be able to provide prompt response time to your house. Our trained staff puts the customer first when it comes to making sure that the job is done right the first time. If your home is showing signs of structural failure give us a call right away, we will give you a fair estimate and have your foundation repaired quickly. A home foundation is often overlooked until a serious problem occurs. But, like any problem, foundation issues tend to get more costly when ignored. We realize that for most people, your home is your greatest investment therefore, if you are experiencing foundation failure or a leaking basement it can be a scary situation. We have the knowledge and equipment to accurately assess the state of your foundation, and can also offer advice on how to minimize the risk of problems before they ruin a healthy foundation. Because of our superior quality work, we have become a leading Charlotte foundation repair company. 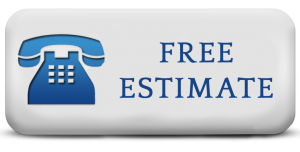 So if you are looking for waterproofing and foundation repair services in Charlotte, please contact us today. At Charlotte Foundation Pros, we are a team of skilled professionals dedicated to resolving your foundation failure problems. If you have been experiencing any signs of foundation failure in your home, please contact us to learn how we can fix your foundation problems. View our service areas here. Do it yourself foundation repair? We do not recommend it but here is some information on that subject. If you suspect foundation failure in your home, there are several key signs that help detect if you have a foundation problem. The following are some of the most commonly seen foundation problems we have seen in Charlotte area homes resulting in a need for foundation repair services. Hot and dry conditions may cause soil to pull away from the foundation. Settlement due to this foundation moisture imbalance could cause cracks to appear throughout the structure. Tree roots could dehydrate the soil beneath a home causing soil shrinkage and settlement of the home. Water from leaky plumbing is often a major contributor to foundation problems. Improper drainage will lead to excess moisture build up, which could erode or consolidate soils. Excessive moisture may cause upheaval or settlement. Cut and fill situations, where soil is removed from part of the lot and stacked on another, must have proper soil stabilization before the structure is constructed; otherwise unexpected movements of the soil beneath the foundation may occur. Cut and fill situations should be properly prepared before structure is started or it may result in improperly compacted soil beneath the foundation. Poor soil, organic components, debris, etc., may cause expansion or consolidation, which contribute to foundation failures. The cost of your foundation repair will be determined on the severity of factors listed above. Make sure the foundation repair company you contact is listed here or here.